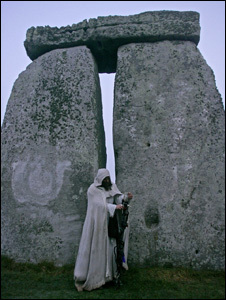 #Stonehenge – 5 musical tributes. Heritage Action and the Heritage Journal, as previously documented, had their beginnings on a web site forum “The Modern Antiquarian“, after the book of the same name written by Julian Cope. Mr Cope is possibly better known for his prime activity as a musician, and yet I don’t recall having had many musically themed entries here on the Journal. A search on the major music sites for names of ancient monuments brings up a plethora of results, depending upon the monument selected. We decided to start with an obvious one – ‘Stonehenge’. This alone returns over 600 songs on AllMusic.com, with many more on Spotify and YouTube – although the YouTube results are somewhat skewed by videos of festivals, documentaries and travelogues, and duplicate entries. But here are five versions that may, or may not be familiar.